As master of France, Napoleon now turns towards the East - and the vast wealth of India. But first he must secure the eastern Mediterranean and Egypt. 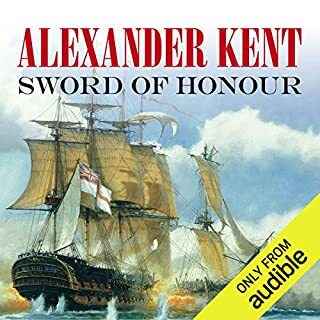 Now Commodore of a newly-formed squadron in a British fleet stretched to the limit, Richard Bolitho faces one of the toughest commissions of his career: to ascertain the fighting strength of the French - then seek, find, and bring them to battle. October 1772, Portsmouth. 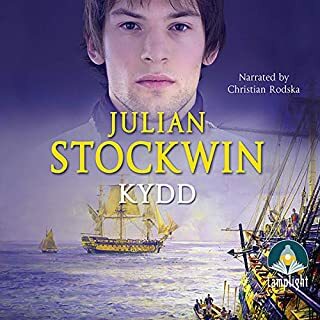 Sixteen-year-old Richard Bolitho waits to join the Gorgon, ordered to sail to the west coast of Africa and to destroy those who challenge the King's Navy. For Bolitho, and for many of the crew, it is a severe and testing initiation into the game of seamanship. Plymouth, July 1801: Richard Bolitho's small squadron, still repairing battle scars earned in heavy action at Copenhagen, has been months away from the sea. But the Admiralty needs Bolitho. After eight years of war with France, Britain must make a gesture that will show her strength and determination - and one which will dramatically weaken the French cause. The Admiralty wants to attack, so Rear-Admiral Bolitho must follow his flag's tradition of victory. March 1814. Admiral Sir Richard Bolitho returns to England from several months' rigorous patrolling off the North American coast. War with the United States has not yet ended, but news of Napoleon's defeat and abdication has stunned a navy and a nation bled by years of European conflict. Victory has been the impossible dream, and now, for Bolitho, a vision of the future and a personal peace seems attainable. However, an unsympathetic Admiralty dispatches him to Malta. January 1782, Portsmouth. His Britannic Majesty's frigate Phalarope is ordered to the assistance of the hard-pressed squadrons in the Caribbean. Aboard is her new commander - Richard Bolitho. To all appearances the Phalarope is everything a young captain could wish for. But beneath the surface she is a deeply unhappy ship - her wardroom torn by petty greed and ambition, her deckhands driven to near mutiny by senseless ill treatment. © 2003 Footwork Productions Ltd (P)2014 Audible Inc. I bought this because I had exhausted Patrick O'Brien's Aubrey-Maturin series. 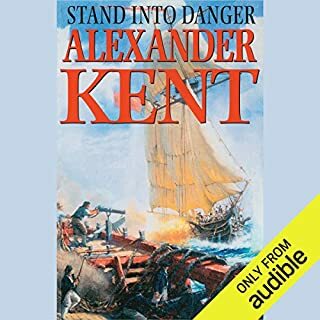 I loved it, it's a good solid adventure on the high seas. 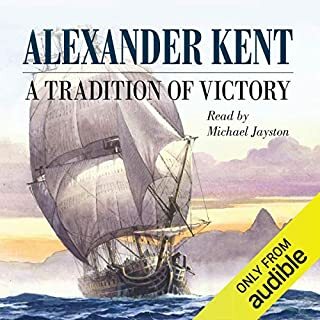 None of the characters seemed as real or three-dimensional as O'Brien's characters, but it's still an excellent, immersive and satisfying maritime tale. Steer your way to this one. Google Wik-apedia for a complete list. 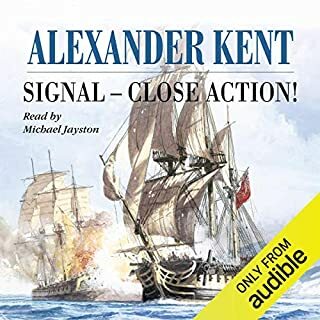 My only complaint is that these books were released by Audible in December 2012 and I had to research and find out on my own when they had been released.I must have over 20 of this genre . 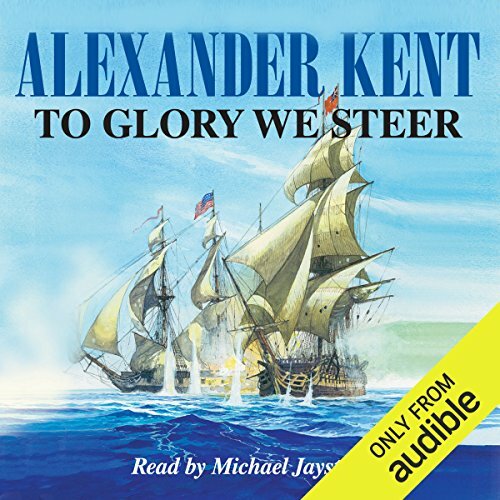 Alexander Kent is in what you might think of as in he Big three of British Sea novel authors [with the two aforementioned].Like the other two he tells a good story that culminates in grand finale fashion..
His novels do have more battle action but there are still plenty of ongoing characters and continuations of story threads from book to book.The Aubrey and Hornblower arn't better,All three have there own personalities with the bond of common subject matter. of shipboard life as much as the "Battle narratives'. While this is a series,I THINK YOU CAN ENJOY ANY BOOK BY ITSELF IN ANY ORDER. [It's something like hearing stories about your parents when they were young]. I don't see how anyone who likes a good story would not enjoy this series. Try one,anyone in the series will do..To Glory We Steer won't disappoint. Love all of the Bolitho series. Anyone who enjoys the Hornblower stories will surely enjoy these. 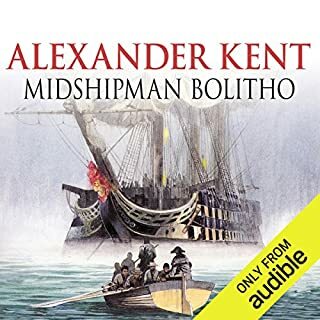 I have read all of the bolitho series by Alexander kent. reading the books was a look back in history. but to hear the books read it makes you feel as if you are on the deck with captain bolthio.